Whiskey is one of the hottest segments of the spirits industry, and many of the American whiskey producers are working to lure more customers with products that appeal to the non-traditional whiskey drinker. 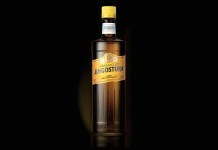 Many of these products are sweeter, softer versions of the classic whiskey offerings, and the flavors run the gamut. Most of the major American whiskey producers have played around with honey in some form or another. Of these, the Jack Daniel’s Tennessee Honey is the best of the lot, providing a sweeter and softer Jack Daniel’s experience. Jim Beam took a different approach to this space with Red Stag, a cherry flavored bourbon. Unfortunately the cherry flavors in the base Red Stag never tasted right, with an overly artificial quality to them (almost like cherry cough syrup) that made the other flavors of the whiskey hard to access. This is a common problem with some of the ‘flavored’ products on the market, including Southern Comfort Fiery Pepper. Jim Beam continues their pursuit of the non-traditional whiskey drinker with two new expressions of Red Stag – Red Stag Spiced with Cinnamon and Red Stag Honey Tea. 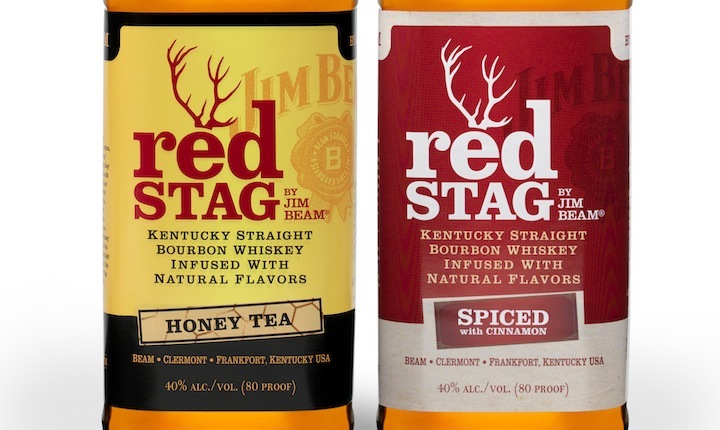 It’s interesting that Jim Beam is sticking with the Red Stag brand for these two expressions (which has become associated with cherry flavor) rather than doing Jim Beam Honey Tea and Jim Beam Cinnamon, but they seem to feel that there’s some good equity in the Red Stag brand to extend. Red Stag Spiced with Cinnamon (40%, $17.99) – is the best of the three Red Stag options on the market. American whiskey often has natural cinnamon notes that come from aging in barrels, so it makes sense to play off those existing flavors to create something new. Unfortunately like the original Red Stag the flavor notes taste too artificial and contrived. The nose on the Red Stag Cinnamon is distinctly spicy cinnamon, more like a red hot candy than a baker’s cinnamon. Along with cinnamon, there’s a center of mint with the slightest bit of oak underneath. Although the cinnamon is strong in the nose, you can still smell elements of the base whiskey. The entry on the Red Stag Spiced is spicy, sweet cinnamon candy. The mid palate is very short and flashes a hint of cherry along with the cinnamon candy and some hints of Jim Beam Bourbon, but it’s a real hit and run. There’s a little spike in the spice right at the finish but it’s also quick. The finish leaves a sweet cinnamon-mint candy spice with the slightest hint of the artificial cherry. Unfortunately, as the core of the finish departs the less desirable artificial flavors linger for quite a while. Red Stag Spiced is definitely a step in the right direction, but it still suffers from some of the issues inherent with Red Stag. The cinnamon could definitely balance the flavors out and makes things taste more whiskey-like, but it’s way too artificial, especially the add notes left at the end of the finish. It’s a fairly sweet spirit and does an amazing job of disguising the fact that it’s 80 proof / 40% alcohol. It would be very easy to get very drunk very quickly with Red Stag Spiced. Truth be told, Red Stag Spiced will probably be best served as a chill shot or mixed with Coke, and in that space it performs fine as low priced training wheels for someone looking to ease their way into whiskey. Red Stag Honey Tea (40%, $17.99) – whereas the new Red Stag Spiced with cinnamon is a step forward for Red Stag, the Red Stag Honey Tea is a little bit of a step back. All the elements that go into Red Stag Honey Tea are flavors that work well with whiskey – honey, cinnamon, and tea. Unfortunately, they don’t come together exceptionally well with Red Stag Honey Tea. The nose of the Red Stag Honey Tea brings together classical whiskey notes like cinnamon and oak with a nutty note, bu the honey doesn’t really read much in the nose. The entry on the Red Stag Honey Tea is a little bit blank and sweet – it almost tastes like you’re sipping simple syrup with a dash of honey. The flavor begins to come through in the mid palate with cinnamon, spice, nuts, light honey sugar and a hint of cherry. 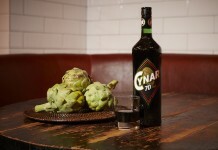 Like with the Red Stag Spiced, there’s a quick spike of spice right before the finish along with a flash of black tea. The finish is slightly odd and sweet with bits of cherry and nuts, and lots of tea and some of the more artificial notes linger way too long. It’s hard to make heads or tails of what they were trying to do with Red Stag Honey Tea, because the elements just don’t come together well. Part of the problem is that the honey doesn’t read clearly honey; it tastes more like sugar mixed with a little honey, and that leaves things just a little flabby and dull (although things are more honey like if you throw the bottle in the freezer). The tea flavors also don’t seem to have a real home in the mix and feel tacked on towards the end like they were shoe-horned in. The cherry notes which feel like they’ve been added as a ‘dash to the mix’ just don’t work very well and here they are joined by an off-putting nut note which just isn’t appetizing. Red Stag Honey Tea isn’t awful, but it really misses the mark. Rather than improving on the base Red Stag, it muddles things to make them worse. Red Stag Honey Tea and Red Stag Spiced with Cinnamon will be available the first part of 2012.